Welcome to Palestine Today, a service of the International Middle East Media Center, www.imemc.org, for Tuesday, June 7, 2016. Israeli soldiers hand over demolishing orders to West Bank families, meanwhile the government plans more settlement units near Jerusalem. These stories, and more, coming up, stay tuned. Israeli soldiers invaded, on Tuesday, the village of Douma, south of the northern West Bank city of Nablus, and handed demolition orders targeting two homes, and a carpentry workshop. the two homes, and the carpentry workshop, are owned by local Palestinians of the Dawabsha family. In related news, Israeli soldiers invaded, on Tuesday at dawn, Beit Fajjar town, south of Bethlehem, and kidnapped one Palestinian. The soldiers also invaded Rashayda village, east of Bethlehem, and handed demolition orders targeting two barns. Moreover, The Palestinian Prisoners Society (PPS) has reported that Israeli soldiers kidnapped, earlier on Tuesday, nine Palestinians in different parts of the occupied West Bank, including four who were taken prisoner on a military roadblock. In other news, Israel is reportedly planning to build over 15,000 new settlement units on the site of an unused airport between the occupied West Bank and East Jerusalem. Palestinian sources said that units are scheduled to be constructed on the site of Atarot airport, located in northern of Jerusalem. 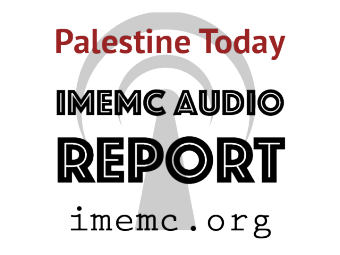 And that’s all for today from the IMEMC News; this was the Tuesday, June 7, 2016, news round-up from the Occupied Palestinian Territories. From more news and updates, please visit our website at www.imemc.org Today’s report has been brought to you by George Rishmawi and me Ghassan Bannoura.